ALA: ULIS announces the launch of Atto320, the first in a family of 12um pixel, stand-alone, image sensors. Other 12um products are sold either as modules or thermal camera cores, where access to the thermal image sensor’s performance parameters is restricted. 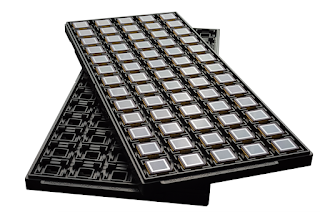 The new fully digital Atto320, a 320×240 microbolometric image sensor consumes less than 220 mW at 60 fps. For clarity between 12um pixels vs poss. 12um thermal radiation, the spectral range is stated as 8um to 14um. I believe these sensors are very cheap. I believe these sensors are very cheap. however, it seems to me that VOx will be much better.